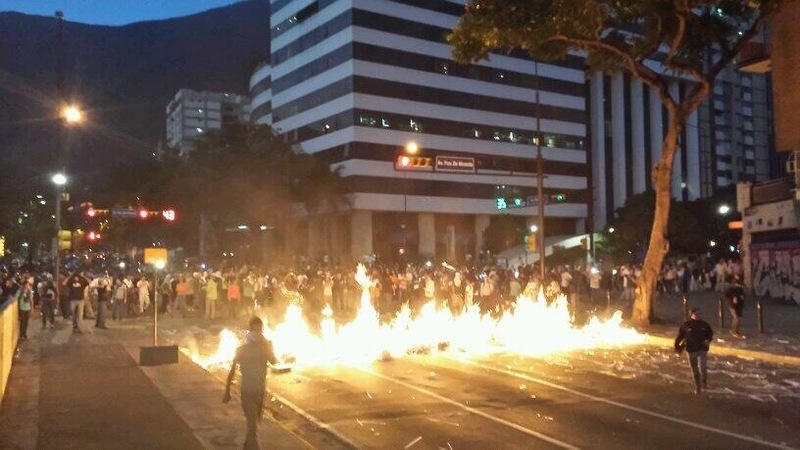 Tonight, as protests broaden in Venezuela, I found many photos posted from Venezuela on Instagram, via Twitter, were suspiciously “not found” or the server stopped responding. My dear friend, Rubens Yanes, writes for Venezuela’s El Universal where he also directs web content. He blogs here from Caracas. 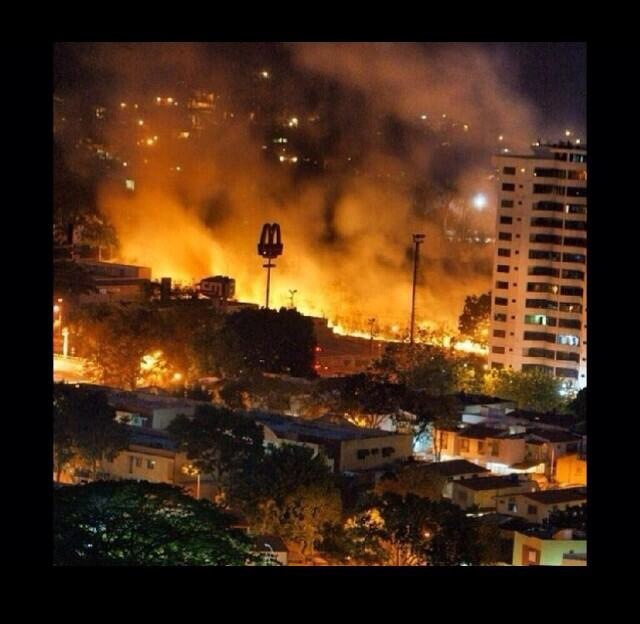 Read Rubens’s previous post: What’s going on Venezuela? Today, February 25th, Caracas and other major cities awoke to desolate streets, barricaded by piles of rubber, grills, trash, and furniture. The morning mist blew around feathers from decomposing furniture. Some barricades looked like huge bonfires. For three days now, the middle class and a very few from the poorer neighborhoods decided to block the streets in protest against the government of Nicolas Maduro. Erecting barricades is effective and low-risk. It is the safer option. Better than to die at the hands of paramilitaries, or be tortured by law enforcement forces and end up disabled. The idea to erect barricades was born in social networks, perhaps inspired by the images shown on Twitter from the state of Merida where a brave young group faced the largest army contingent mobilized in our country in the last 22 years. No leader or a party ordered the people to set up the barricades. Today in Caracas, the protesters appeared and disappeared like ghosts. Some continued to face the National Guard. The National Guard showed up sporadically. They cleared some streets, and people returned and blocked them again. But the barricades also made us prisoners. Random fights between neighbors broke out. Tensions rose when people who needed to go to work or run errands grew frustrated and angry. In Cagua, a small town on the outskirts of Caracas, Wilmer Carballo, 34, was protesting when a man riding a motorcycle shot him in the head. The alleged murderer was seen waving a flag of the Tupamaros, a paramilitary force that supports the government. 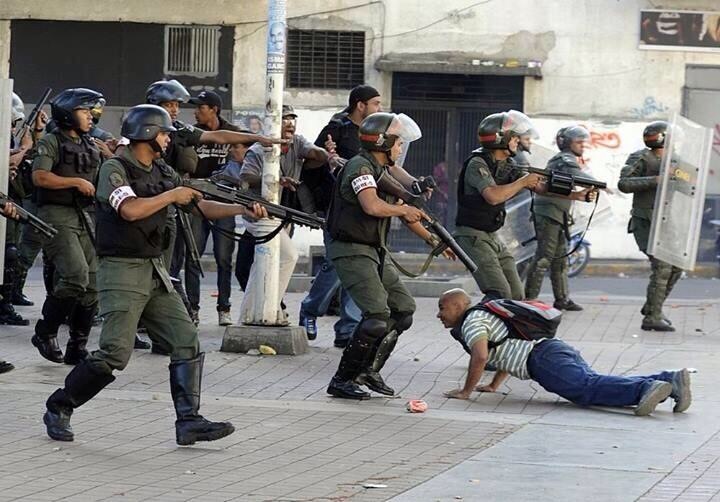 NYT: Rash Repression in Venezuela. 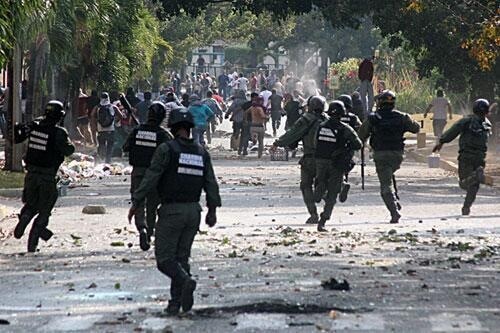 Masses continue protesting against the government in Venezuela.